Why use technology within classrooms? For me, I have been convinced that it is essential since the world is daily evolving with technology. Generations are having to adapt to our digital world and new generations are being born into a digital world. It is important that we also evolve education(Prensky, 2001). 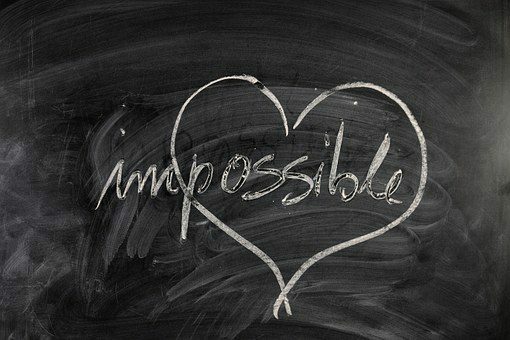 Over the past few months, writing these blogs have been a great way for me to really consider the different positive and negatives which I carry as not only a student teacher but as a teenager. For myself, I have learnt a lot about the different ways in which technology can be interpreted into a lesson and the effectiveness which it holds. To begin with I wasn’t sure what to expect from this module but the whole experience has been worthwhile; from learning new aspects and continuing to secure my understanding of technology. ActivInspire – I assessed myself as a 0 for this since I had no idea what it was or what it did. After the session, however, I now feel so much more confident in this area and feel as though I could comfortably explain what it is and how to use it in a classroom. Now I assess myself as a 3 as I did have difficulties working it out but I believe with practise I will be able to improve on this. Programmable Toys – I assessed myself as a 3 due to having worked with programmable toys when I was at the Primary. Now I would assess myself as a 5 as I now know the variety of ways in which you can use them to enhance pupils learning and have my own ideas in how it will be effective. Coding – I assessed myself as a 0 as I was unsure what this session would entail. After experiencing the lesson for coding I would now give myself a 4 as I now know the effectiveness of coding and enjoyed creating my own Scratch. Jr.
Easi-speak microphones – I assessed myself as a 1 for this and feel like I will still need to work on my understanding by going back over previous sessions and trying various activities to develop these skills. Now I give myself a 3.
iPad – I assessed myself with a 5 since I have grew up knowing how to work iPads for a long time. However, I now am able to communicate the different ways in which it can be used within a classroom. My assessment score for this topic has not changed. Games-based learning – I assessed myself with a 5 since I am very confident when it comes to gaming as it is something which I enjoyed to do growing up. I was also quickly able to come up with learning ideas before we did the task since I knew so much about the game. My assessment score is still 5 as I still feel just as comfortable in this area, if not more. Outdoor Learning – I assessed myself with a 4 as at the time I believed that I would fall into the trap of going off topic. I was afraid that if I was to do this in the classroom, pupils would not understand what my lesson was for them. They would only see it for entertainment and not take any learning from it. I believe that now, for the future, thinking about the topics carefully and also thinking about what the outcome of the activity would be will ensure that this does not happen. My experience with this session was positive and now gives me more confidence that I am less likely to fall into this trap. Glow – I assessed myself with a 4 as I had already experienced a glow account during my secondary years. However, I was unsure about the reasons for using it during teaching. This is now a platform which I hope to use in the future as the materials are of high standard. My assessment score for this topic is 4.5 as there are still aspects of glow which I have not discovered. Overall, my experiences within this module have been a great opportunity for me and I have thoroughly enjoyed each each week. In the future I wish to use technology within my classroom as I am more aware of the positive effects it can have on children whilst learning. I will continue to develop my skills and understanding throughout my university years as well as my teaching years. The final session of Digital Technologies… I can’t believe how quickly this module has gone in as well as my first year at University. My final post will follow this, summarising this module and include one last final reflection of my experiences. With all these factors contributing, it lets every child feel as though they are “loved, safe and respected and can realise their full potential” (Scottish Government, 2019). The outdoors can do this for many young people and the importance of this is to enhance their well-being. To make them feel like they are being cared for and have a purpose when they are learning; not just at home but at school too. One of the advantages of outdoor learning is that it can increase a child’s motivation and it is not something they usually do so brings excitement into their learning (Education Scotland, 2010). Importantly, it develops inclusion. It can give children great opportunities to build on their own skills as well as see what they are capable of. It can improve problem solving skills – for example, we had to work out how much each item was and calculate a total. It can improve communication skills as well as our team working skills. As a student teacher, I believe that this is a way in which they can find out more about themselves as learners and build on their self-esteem as individuals; reinforce their worth (Beauchamp, 2012). Today, we got into groups and created our very own treasure hunt with QR codes. A QR code is “a pattern of black and white squares that can be read by a smart phone, allowing the phone user to get more information about something. QR code is an abbreviation for ‘Quick Response code’.” (Collins, 2019). Before today’s lesson I wasn’t really sure what a QR codes purpose and how it could be seen as enjoyable to use within a classroom. My thoughts quickly changed though when we firstly browsed through the website. The QR generator had a variety of ways in which we could communicate our information such as messages, YouTube links and text boxes. These examples demonstrated that there were so many possibilities with using the QR generator. After seeing the different kind of widgets we could use and how the QR codes worked with our devices. As a group, we decided to do maths for second level. Having done treasure hunts before as a child I always remember them being used as a revision material at the end of topic/topics to reinforce my understanding of the subject. These experiences and outcomes were not the only ones since our activity was based on maths. With this in mind, bringing technology into learning outdoors as well as with subjects will enhance the child’s ability to comprehend further since they are digitally native (Prensky, 2001). Overall, I feel as though my experience with QR codes and working outside has given me a better outlook on the many ways in which I can improve my pupil’s well-being as well as their learning. •Beauchamp, G. (2012) ICT in the Primary School: From Pedagogy to Practice. Pearson. • Prensky, M. (2001) Digital Natives Digital Immigrants. MCB University Press. Gaming is one of the biggest impacts within our society. “In 2017, 32.4 million people play games in the UK. Spending $4.2 billion this year, they make the UK the 5th largest games market in the world.” (Ukie, 2019) Millions across the world play video games daily with many making millions from this. Gaming brings fun to a screen for many individuals and for myself, was one of the many things I did growing up. Firstly, I had a Game Boy which led to a DS which then lead to a Play Station, Wii and then lead to replacing the PlayStation with an X-box. My brother and I both experienced the fun from these devices and also loved being in each other’s company whilst playing them. It was exciting and enjoyable, especially on the rainy days. One of my most favourite games to play was the Sims on the PC. I loved the idea of creating my own person, designing a house and actually playing each day controlling their actions as though they were living life. This was why I enjoyed playing Minecraft when it was first brought out as it contained survival which meant a challenge. It was different and easily had a ‘hooking’ effect on us. All the games which I played growing up were fun and positive memories which I can keep. The ones I will cherish are the family times we got together and played Wii games; jumping around the room in fits of laughter at each other’s actions. Even though the majority of my childhood was surrounded with boys, a little part of me still enjoyed playing games as it was such a positive experience for me even when I got a little fed up playing FIFA. Today, we entered the world of Minecraft to see whether or not it could be used when teaching. I was quite excited to play it again since it had been so long since I’d last played it. In today’s session we had to come up with ideas in which we thought Minecraft could teach children and give them a better understanding of a subject, topic or issue. My self and Lynne firstly played the game and experimented with the items which we could use. We chose to do this first so we could see the different variety in choices and to give us a better idea of what the education edition offered. Above is our mind map and planner table which contains the rest of our ideas which we felt could enhance learning within a classroom as well as the learning outcomes for each of these activities. • Health and Well-being: The pupil would try to survive a day by cooking their own meals, for example. This would let them realise how difficult it would be to survive without the luxuries we have today. With the food, certain ones give you more energy than others so would allow the pupils to develop their understanding of how important it is that we eat a balanced diet. • Maths: The first idea we had was to create your own house and focus on the different shapes that you would be using and then when decorating, thinking of the different ways you could add symmetry to the layout and pattern on the house that you created. The second idea was to use the maps within the game to locate each pupil on multiplayer using the language of North, South, East and West to help guide each other through the world. • Literacy: Creating your own story within the game by choosing your own characters, creating where they would live and then explaining why they have decided to put them there in. This would be followed by a story board or by a creative writing piece. Gaming was and still is popular for children to play regularly. A report in 2011 found that gaming is greatly popular within the United Kingdom with nearly 86% of children aged between 5-7 year olds and 90% of children aged between 8-11 year olds using technological devices often (Ofcom, 2001). For the most part, computer games and mainly consoles are basically engraved within the 21st century; younger generations (Ofcom, 2001). During my two weeks placement in October last year, I vividly remember one pupil who would talk, non-stop, about gaming every day. This could have been viewed as addiction. However, she knew every-single detail about that game, characters, levels and the plot of the story. There was not one thing she would forget. It was as if she was in the game herself. This, for me, encourages me to want to use technology within the classroom since they pick up so much information without realising and gives me another reason why we should use gaming to enhance certain aspects of learning. • The Association for UK Interactive Entertainmenthttps. (2019). UK Player Demographics. [Online] ://ukie.org.uk/research [Accessed: 12/03/2019]. Our younger generations are enveloped in technology. It is everywhere around them and continues to evolve regularly. The first question, which I am going to discuss is, how does technology help diminish problems for pupils with learning difficulties and in particular, animation? “E-Inclusion aims to use digital technologies to minimise problems that pupils with learning difficulties experience” (Beauchamp, 2012, p.55). We can admit that pupils feel more comfortable and focused when it comes to the screen since it has this ‘hooking’ affect which can cause them to become engrossed for hours on end; even older generations can see why children admire it fondly. The other reason and the most important one is that it is a part of their everyday life, hence, why they do not categorize technology as a different ‘subject’ (Beauchamp, 2012). As my group was carrying out our tsunami animation I could see why it could build the confidence for those with learning difficulties. Some children prefer to work with their friends or on a new project which fascinates them. Even though it is a time-consuming process, using sound and video should be able to magnify information processing and secure the learning which the pupils are experiencing (Jarvis, 2015). In my own opinion, I believe that animation is exciting since you are able to create something new and have fun whilst carrying out this procedure. It is also beneficial for the pupils who are shyer in the class as it gives them another way to communicate their ideas. This alone, is a great way to build their confidence not just in the short-term but will have effects in the long-term also (MovieStormLTd, 2011). Overall, I feel like animation will be beneficial in a classroom since it will encourage pupils to work with each other but could also be seen as something that may cause conflict within the class. As a growing student teacher, I believe that if I were to do animation with my class I would do it as a project so that the full class were not only working as smaller groups but also together as a class. This would mean that each group would do a section each and in result the whole class will have created the animation together. This could also promote inclusion within my class since all pupils will be taking part. ICT will allow my class to “achieve something that would be very difficult or even impossible to achieve in any other way” (Beauchamp, 2012, p.54). By giving the class the chance to create their own animation and feeling like they have achieved something is what I aim for; allowing them to feel successful with themselves. In a classroom, we can use animation to enhance learning as well as give the pupils a chance to improve on other skills like their problem solving as well as their team working skills. For teachers, it can also build their confidence since they may not use technology as much as our digital natives would (Prensky, 2001). “Although teachers may be worried by new technologies… we need to be sure that this is not transmitted to young children, or that other obstacles are not put in the way of their natural curiosity and willingness to explore new technologies” (Beauchamp, 2012, p.66). In terms of my own confidence throughout this experience I feel like this quote is something which I can relate to. The reason for this is at the beginning of this session I had disbelief that our animation would work due to all the difficulties we faced with the app and simply having lack of experience using it. However, I do agree with Beauchamp as I now feel more confident after having completed today’s task. In the future, I hope to continue to develop my ICT skills within this department so that I can use this in a lesson as I did enjoy creating the animation. • Beauchamp, G. (2012) ICT in the Primary School: From Pedagogy to Practice. Pearson. • Prensky, M. (2001) Digital Natives, Digital Immigrants.MCB University Press. Animation is “the technique of photographing successive drawings or positions of puppets or models to create an illusion of movement when the film is shown as a sequence” (Oxford Dictionary, 2019). Animation is the area in which many people can connect with characters and personalities, however, would not have had any breath of life or movement before (Moving Image Education). Animation is the moving-like images which create a story for not just children to be taught through but has a “big visual impact…” (Jarris, 2015, p.90) on the world due to the way its eye-catching features can attract attention to its audience. Throughout this week’s session we completed tasks which would help us prepare and practise for our next session that consists of creating our own animation movie. Animation itself can be used in many ways to reinforce the learning within a classroom. Simply, animation can be used to describe something to a class. For example, you could demonstrate eating healthy or online safety by emphasising the points through a story. The use of characters which can clearly set the plot and allows the pupils to connect with what they are seeing. They will be able to reflect and relate to the topics being discussed as they may see someone who they like or someone who they can relate themselves too. Getting the pupils to interact more with the animation is simple; let them produce their own. The enthusiastic gleams off of their faces as they create their own sets and figures to make their own story, from beginning till end, will give them a sense of independence and achievement since they are the creators of that movie. Why does it enhance learning? Bertrancourt (2005) believes that there are three different elements within animation which takes part in impacting the way in which it can enhance learning. The first is the way in which the pupil’s visual representations are strengthened. The second is it illustrates processes; that there are stages that you must take to succeed in building the animation, you must go through the stages in order so that the final product makes sense. The third is that it provides an interactive element for the pupils. Overall, they can take part in the production of the animation which will improve various skills – I applied some of these skills today. To work out the app puppet pals I had to use my problem solving skills since I have not had to use this before. I did not fully understand how to use it at first. However, after trial and error I was able to design my own animation relating to fairy tales. My creative skills encountered during the design of my animation. This included: having to come up with an idea that relates to the theme of fairy tales, thinking of a way in which I could portray my idea in an exciting way and making my animation child friendly but still having a fun aspect throughout. Finally, another example of a skill which I used in this lesson was my digital knowledge. This had to take part in creating the animation since I was using an iPad. If I was not confident in this area about how to use the device then I would have struggled to not only make my animation but to work out the apps widgets. Having a strong digital knowledge, for me, is beneficial when faced with apps that I have not discovered before. After watching numerous YouTube videos on animation we then used iStopMotion. This is the app which you can create, from scratch, an animation. Personally, I found this more enjoyable since I could create whatever I wanted as I was not restricted to the options available on puppet pal. However, I do feel like using puppet pal to begin with gave me a better idea about how to make an animation. Below is a video of the animation which I made. Next week my group have planned to do our animation based on a tsunami. The idea behind this is to explain and inform the learners of natural disasters that take place around the world. To demonstrate what it looks like and how it can affect anyone; even on holidays with your family for example. During the lesson next week I want to consider the factors of how animation can minimise problems for pupils with learning difficulties. I also want to consider how technology can affect teacher’s confidence and ask myself how confident I was during these sessions and how it may have improved. • Jarvis, M. (2015) Brilliant Ideas for Using ICT in the Classroom: A Very practical Guide for Teachers and Lecturers. Routledge. Personally, I view myself as digitally native. Having being brought into technology at a young age I was always very curious when it came to touch screens and how a simple tap on the screen with your finger could control a device. IMovie was something which I remember using during Primary, especially at upper school. Creating videos to portray road safety, for example, was one of my most significant memories of my experience, and a positive one at that. After hearing that this session was going to be about iMovie, I was really excited to contribute to this lesson due to previously having such great memories. Primary schools can use iMovie in a variety of ways to inform children about the subject that they are learning about. Its multimodal features can increase the pupil’s comprehension if used effectively. Having the ability to bring lessons to life through the use of videos, sounds and pictures which creates a short movie attracts the pupil’s attention and in result, has a positive impact on their learning. Within the classroom iMovie can be used to raise attainment since there is evidence which proves that when effectively used can “raise the speed and depth of learning in science and mathematics for primary and secondary age learners” (The Scottish Government 2015). Other benefits with this app include: the ability to teach pupils in ways traditional learning cannot – “students think and process information fundamentally differently from their predecessors” (Prensky, 2001, p.1). Since younger generations are being enveloped in technology, this idea of teaching in traditional ways may not be the best solution. The solution would be to integrate technology into teaching since this could potentially increase their motivation levels since it is what they use at home. Another benefit is that the learning experience is quicker and more enjoyable since it is more attractive to look at (Beauchamp, 2012). With having these impacts within the classroom we can see why the use of iMovie can address subjects as well as topics like e-safety since it can grip an audience. Teachers in general, can only advise their classroom as much as they can about the positive and negative aspects about the online world. However, it is important that they are realistic about the dangers. To not only educate the pupils knowledge, but to make them aware of the dangers that are out there. “The most successful schools… in terms of e-safety ensured that pupils knew what to do when things went wrong” (Beauchamp, 2012, p.60). We should advise them that their accounts should stay private, that they do not share personal details and if they feel uncomfortable to tell an adult straight away. Overall, the pupil should also be aware of what they comment and post towards others as well as to never meet up with someone you do not know. This is very important since the person may not be who they say they are. For our own iMovie, my group decided to discuss the issue of catfishing and how keeping your account private is more important than what it seems. Many people feel like it is okay to let people they do not know follow them as well as become their friend on Facebook or other well-known social media apps; like Snapchat. Our iMovie started with me, scrolling through my Instagram: posting photos on my profile, sharing my personal information (location, snapchat name) as well as having my account not private. This meant that anyone could view my details. This resulted in me getting cat fished since anyone (Ross) could view my photos. Ross screenshotted my photos, created a new account pretending to be me as well as messaged my friend (Lynne) who believed that I had just made a new account. This then led her to meet up with my catfish believing that she was meeting me. Our story then ended with my group going through all the different ways in which this could have been prevented. Listing these at the end consolidated this information for the viewer’s. It advised them through tips and gave them facts which they were to keep in mind when creating their own social media accounts. The learning outcomes which we would cover for this activity would be from Digital Literacy on the aspect of Cyber resilience and Internet Safety. This outcome can be succeeded through using iMovie since you can clearly get your message across to your audience. The topic of internet safety is a significant area which is happening around us today. Digital Literacy is important for us to be able to contribute in today’s society fully (Weiss, 2017). This overall, demonstrates that we do need to use digital technology to give the children the knowledge which they need to live and be able to adjust to the world around them. For myself, reflecting on this lesson, I can agree with this and feel more aware of this issue. This lesson gained many skills for myself as our group struggled to begin with – feeling like we took a while to get officially started. In the future I would think that a smaller group may have been better for this since not all of us were actually in the movie and could have maybe made it fairer for them to be more included. • Prensky, M. (2001) Digital Natives, Digital Immigrants. MCB University Press. Hello again! This week’s session consisted of creating our own eBook using the app, Book Creator. According to the oxford dictionary an eBook is defined as “an electronic version of a printed book which can be read on a computer or a specifically designed hand held device” (Oxford Dictionary, 2019). The purpose of using technology in schools, as I have already previously stated within my blogs, is the positive impact it has on the pupil’s learning as well as teaching (Scottish Government, 2016). Giving the pupils the ability to create something of their own as well as learn from what they have created is one of the many reasons to why the use of digital technologies can achieve this. The variety in which you can teach through an eBook is simple but effective. Book Creator, for example, can allow you to create all kinds of books since the app is quite flexible: you can create children’s picture books, text books and even comic books. Having this multimodality feature within our devices can help the pupils understanding (Beauchamp, 2012). David Andrews wrote an article in The Guardian to investigate how iPads and iPods could be used successfully within his classroom. He decided, before giving all the pupils an iPad, to only invest with the teachers first. The reason for this was that he believed that the teachers should be confident with using technology before integrating the devices throughout their lessons. They were given many apps which were for enhancing learning. If they found an app which they felt would be useful, they were allowed to inform the rest of the staff during a meeting, in the summer-term, every Monday (Andrews, 2012). After seeing the potential that iPads could have within a classroom, the school decided to invest in them and planned to use both iPads and iPods creatively. This article gave me a better insight to the overall positive and negative factors of using devices like iPads and iPods in a learning environment. Although we are encouraged to use more digital technology I agree with David Andrews statement that “If the iPads don’t enhance the learning of the children that I teach, then I shouldn’t be using them” (Andrews, 2013, non-paginated). If we are not able to reinforce the pupils learning then it could be seen as a waste of material and use if there is no benefit for the children. In terms of my own eBook that I created, I chose to base it on the book “The Very Hungry Caterpillar.” The reason for this was simply because I loved reading it when I was a child and felt like I could do many activities with the story. One of our success criteria for this lesson was to create a summary of a well-known story, of our choice, and to use Book Creator effectively to achieve this. My summary involved questions and activities to challenge the pupils to think of the correct story line. I achieved this by having a true or false section as well as having questions throughout. The learning outcomes behind my vision were health and wellbeing tied into digital technology. The reason for this was because I had focused on the food that the caterpillar had eaten. Some of the topics which I covered were – if the caterpillar was healthy and whether the pupils thought that they were healthy by completing a table on what they had eaten that week. Over all, I had a positive experience when using Book Creator and felt like it was something which I will use in the future when teaching pupils. It is straight forward to use and enjoyable. Having used book creator before I felt like I knew roughly how to use each of the widgets but after having spent this session I now feel more confident about the app and could see myself successfully using it in a classroom environment. • Andrews, D. (2012) An Apple for the teacher: are iPads the future in class? The Guardian. [Online] 13 August, non-paginated. Available: https://www.theguardian.com/teacher-network/2012/aug/13/schools-secondary-schools [Accessed: 10 February 2019]. Coding has started to become an increasing need for our society. “Universities want to reverse the decline in applicants for computer science courses. Gaming companies want more programmers… Manufacturers want trainees who can design embedded systems. And head teachers want bigger budgets for even more computer labs” (Naughton, 2012, p. 2). With this increase in the need for individuals to have the skill of coding it is essential that we try too, to teach the younger generations; to allow them to not only know what it is but to fully understand the benefits of coding also. The reason for this is because it will be helpful for the younger generations when looking for their future career. Some of the benefits of coding are that the individuals will develop their problem solving skills, enhance their ability to create new ideas and design new projects. It is also believed to be a fundamental part of literacy in today’s modern world. A way in which we can accommodate this within schools is by using the computer program, Scratch Jr. This program is designed to allow children, from the ages 5 and above, to create their own games as well as their own stories by using characters, actions as well as voice overs to achieve what they want to invent. In today’s session we had to create our own Scratch Jr. to promote literacy skills. With previously having completed the readings, they informed me why we should teach these skills which lead me to find out how to use the computer program itself. I found a 5 minute video on YouTube which showed me what it was about and also informed me of the basics of how to use it. Personally, I feel this gave me a head start when entering the lesson today. In my own opinion I felt like this was much easier to use than ActivInspire from last weeks session. However, I believe that both will be useful in the classroom. “Scratch is designed for exploration and experimentation so it supports any different learning style.” (The Lead Project, 2014, n.p) Whilst carrying out the task I could see how interactive it was for myself as well as enjoyable to complete. For many children, they will sit for hours playing around with the computer program simply because it is so interactive and creative. For my own task I decided to create a story about ‘Kat and the Gang!’ where a group of friends used their imagination to go around the world. For the purposes of promoting literacy my thoughts were taking the group of friends round different countries, seeing the different animals and then giving the children the chance to decide which country the group of friends would travel to next. Above is the Scratch Jr. which I created! I felt as though these suited my activity best since the children were able to decide how the story ended meaning that they could be creative with the program and freely decide what happened. They would use their problem solving skills to link the slide to what had happened before as well as create their own slide to finish the adventure that had begun. To summarize the topic of coding, there is a need for children to be up-to-date with the world around them since children are becoming ‘digitally native’ (Prensky, 2001). This suggests that there is a need to teach technology and the concepts surrounding since it is required in today’s evolving society. Prensky, M. (2001)Digital Natives, Digital Immigrants. MCB University Press. Hello again! This week’s session was about multimodality, a concept which we have briefly met in another module. 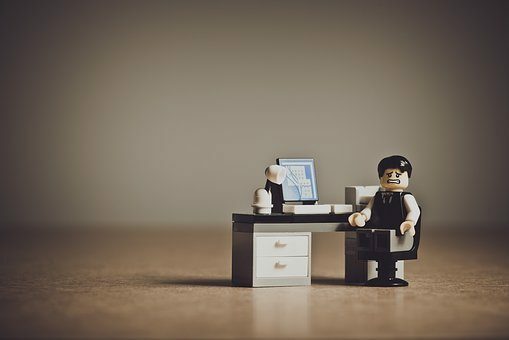 Before we discuss further I would like to mention that I feel a little more confident as the weeks go on when writing my blog. I feel like I am getting used to the website as well as discovering the new widgets which are available to use. This, for me, is an achievement as I have always been interested about blogging. When we present in a classroom we should make sure that it is captivating, motivating and engaging the pupils who we are teaching. An advantage of ActivInspire is that you were able to have characters and noise as well as colour. All of these factors are our semiotic systems which can enhance the children’s learning due to the variety in which you can present; meaning it can help with pupils understanding (Beauchamp, 2012). Even though interactive whiteboards can be very advantageous within a classroom there are consequences to just using them all the time. “Other technologies will need consideration to meet individual needs across the range of diversity found among learners” (Deubel, 2010, p.4). It is important that we do not fall into the trap of only using interactive whiteboards because there is much more advanced technology being used within the society today and is still evolving regularly. This means that we can still have ActivInspire within our learning processes but must always remember that it isn’t the only thing out there. If we use them in moderation and integrate other devices, this will prevent the children from not knowing the technology which is surrounding them. In the future I would like to be able to use ActivInspire since it had so much to offer, this may take time though and depending how well my next attempt goes, I will then make a final decision on how often I will use it. This week’s session in Digital Technologies consisted of creating your own learning mat for the programmable toy Bee-Bot. Bee-Bot is a technological device which can be programmed to do a set of instructions. These include: moving forward and backwards, turning left and right as well as has a go, clear and pause button to assist the learner when controlling the Bee-Bot. The learner can tell Bee-Bot to do up to 40 instructions (Janka, P. 2008). Bee-Bot has many benefits as it can teach a variety of subjects and also allows the learner to be in control as well as have fun at the same time. In my own opinion it is important that we have activities like this since the children are digitally native (Prensky, 2001) and are generally more engaged due to having the permission to use something technological. Alison Lydon found that 12 out of 28 children were able to use Bee-Bot independently with no help from an adult (Lydon, 2008, p.2). They gained independence quickly meaning that programmable toys had a positive impact on their learning. 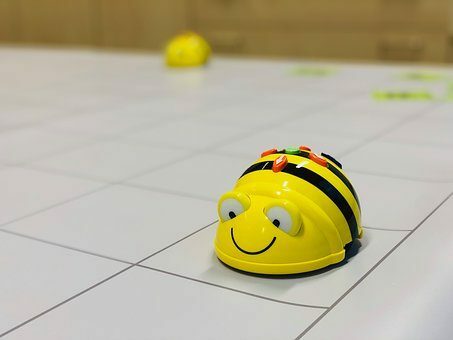 This could suggest to us that we should encourage teachers to use programmable toys like Bee-Bot since it can enhance the child’s understanding when in the classroom. The learning outcomes which we chose for this activity were Lit 1-07a and TCH 1-15a as they were most relevant to what we were creating. The first outcome would be achieved since the children would be expected to answer numerous questions on the book. This would develop their knowledge and understanding of the context as well as reflect on their own understanding of the descriptions. The second outcome comes from Computing Science as they would be demonstrating their problem solving skills by controlling the Bee-Bot as well as having to know the main ideas of the story. The experience I had this session was interesting since I now know the advantages of using a programmable toy in a classroom environment. I would like to use Bee-Bot in the future as I think it would be a valuable use of time whilst teaching. •Prensky, M. (2001) Digital Natives Digital Immigrants. MCB University Press.